Summer is here and the weather is hot. Those of us with pets get worried about keeping them from overheating, especially while we're at work. 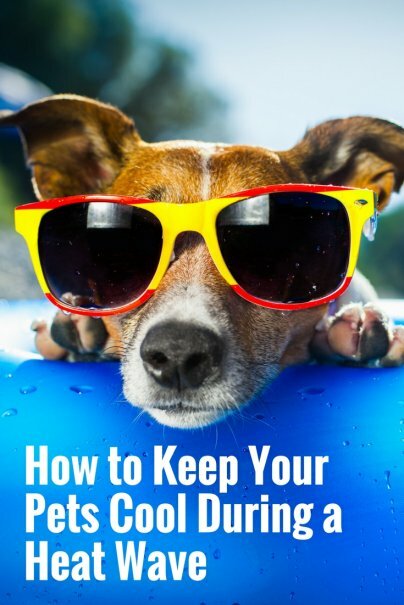 Here's how to keep your pets safe, healthy, and comfortably cool during a heat wave. During the rest of the year, just two or three water bowl changes is enough. But during the hot months, you'll not only want to refill regularly, but you should also consider adding bowls with cold water throughout the house, especially if you live in a large home. This will offer your pets easy access to hydration when the high temps make them sluggish. One of the most important things to know is how to spot the signs of heatstroke in an animal. Are they panting or drooling a lot? Are their gums red? Get them a damp cloth, some cold water, and get them to a vet as soon as possible, as heatstroke can be deadly. Keeping the hot rays of light from shining down on your pet will help prevent them from overheating. It will also keep your indoor temperature down. Try closing the blinds and your curtains when the sun is out, especially when you are about to leave the house. Also ensure you have set up a shady area in your yard for outside time. You don't need to keep the A/C on for the entire house. Keep your pet's favorite spot cool with a portable air conditioning unit or simply a fan to keep the air circulating, so your beloved furry companion isn't languishing under sweaty, stagnant air. If you notice your pet might be overheating, a fast way to get them cooled off is by applying a cool, damp cloth to their body, face, and paws. You might need to do this a handful of times throughout a hot day, but your pet will experience some instant relief. Outdoor time is important for dogs, but make sure that when it's above 90 degrees, that they have plenty of time indoors. If you need to leave your dog in the yard while you're away, make sure you've set up a shady area with lots of water where they can rest.